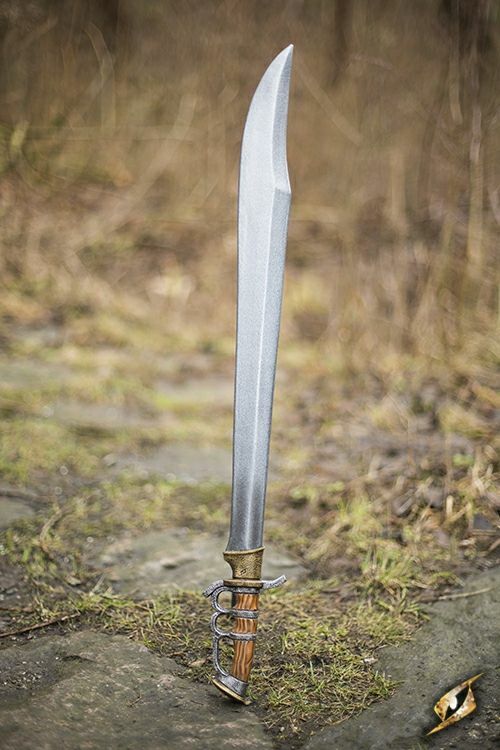 Trench Knife is a latex-hybrid single-edged knife with a detailed knuckleduster handle. 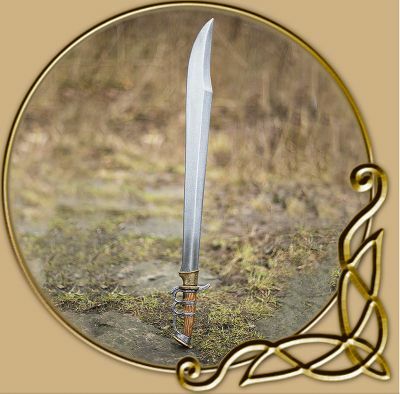 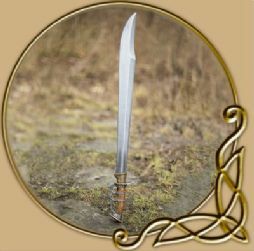 The sword is 85 cm long and has a 65 cm curved blade inspired by weapons of the First World War. 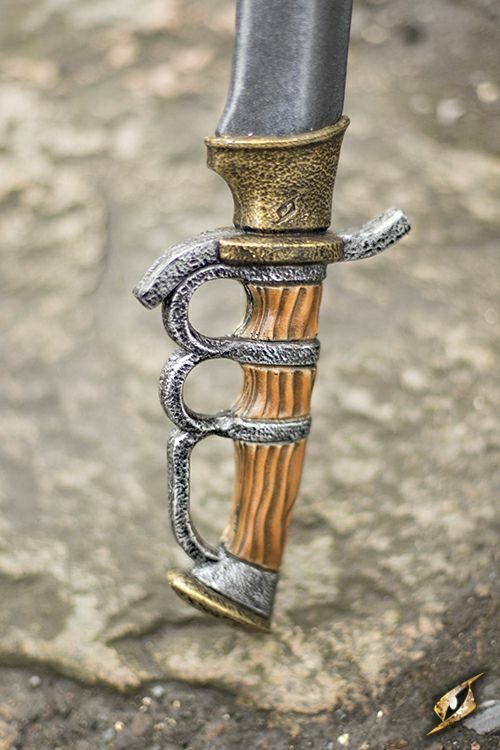 The intricate crossguard curves around the hand, providing a comfortable and protective grip for each individual finger around a 11 cm handle cast and painted to look like real wood with metal embellishments.